In a move that is certain to prompt more allegations that Wikileaks is part of a counter-establishment push, one ostensibly supported by Russia, on Monday morning Wikileaks dumped more than 21,000 "verified" emails associated with the French presidential campaign of Emmanuel Macron. Julian Assange's organisation claims the batch of 21,075 emails, dating from March 2009 to April 2017, have been uniquely verified through its DKIM system. 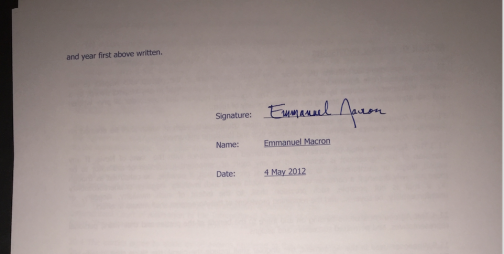 As a reminder, in the days before the May 7 French presidential election, Macrons campaign confirmed it was hit with a "massive, coordinated" hack which released 9 gigabytes of personal documents. The French electoral commission immediately prohibited the French media from publishing the contents of the leak, and while speculation quickly emerged that Russia was involved in this hacking, France later confirmed there were "no traces of Russian hackers in the Macron cyber attack." The head of the French governments cyber security agency, Guillaume Poupard, told AP the hack was so generic and simple that it could have been practically anyone. Ironically, less than two months later, with Macron's approval rating suddenly in freefall, the Russian hacking story re-emrged, when Reuters reported that Russia tried to use an "elaborate Facebook hacking scheme" on the French presidential campaign. It is unclear if the French population will shift their anger away from Macron and to the default scapefoat Russia, helping Macron's sudden slide in popularity. For more info ... please click the ( Zerohedge ) previous Hat/Tip link.